Finding affordable life insurance with Marfan syndrome can sometimes be challenging. Marfan Syndrome is a genetic disorder that affects the body’s connective tissue. About 1 in 5,000 people have Marfan syndrome, including men and women of all races and ethnic groups. About 3 out of 4 people inherit Marfan syndrome from a parent who has it. 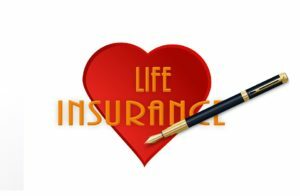 How to find the best rates for life insurance with Marfan syndrome? Without a doubt the number one way to find the best rates on life insurance with Marfan syndrome is to work with an agent that is an expert in the special risk life insurance marketplace. This specialty risk agent will be someone that has years of experience and knowledge in working with individuals that may have pre-exisiting medical conditions such as diabetes, heart disease, kidney disease, etc. Your agent should be independent and represent multiple carriers that specialize in offering coverage for individuals with pre-existing medical conditions such as Marfan syndrome. What do life insurance underwriters look for when evaluating this risk? Life insurance underwriters that specialize in underwriting life insurance with Marfan syndrome will frequently be concerned with any problems to the heart and blood vessels of those with Marfan syndrome. Problems with the heart and blood vessels are very common. One of the most common of these problems affects the aorta, the main blood vessel carrying blood from the heart to the rest of the body. Heart valves can also have a problem. In fact, approximately 9 out of 10 people diagnosed with Marfan syndrome have some type of impact on their heart and blood vessels. Aortic Enlargement- individuals with Marfan syndrome may see their aorta enlarge and become thickened. Aortic Tear or Rupture- If the aortic wall becomes dissected it may tear or rupture between the layers of the aorta. Mitral Valve Prolapse– this a condition in which the flaps of one of the heart valves are “floppy” and don’t close tightly. Aortic Regurgitation- this is caused when the aortic valve does not fully close and blood leaks back into the heart. All of the above problems, along with others are what life insurance underwriter’s typically see when evaluating life insurance with Marfan syndrome. When were you diagnosed with Marfan syndrome? Have you had any history of aortic or mitral valve disorder? If so, is it considered mild moderate or severe? Any history of aneuyrism dilation or dissection? Have you had any tests such as x-rays, EKG’s, echocardiogram, Magnetic Resonance angiogram or transesophageal echocardiogram? What if any medications are you currently prescribed? Any other major medical conditions such as high blood pressure, diabetes, cancer, etc.? Any addition to the above medical questions it is important for the agent to know the amount of coverage desired and the plan of coverage needed. Once your agent has gotten some of the preliminary questions above answered, it is now time to use their knowledge an expertise in this special area of life insurance underwriting. A typical agent with no experience in this field of life underwriting, might simply have their client apply to several insurance companies and wait and see which one offers the lowest rate. And this could be a costly mistake. You see, life insurance companies aren’t in the business of simply paying for insurance exams, blood tests, EKG’s, underwriter salaries and then not having a customer accept a policy. When an individual fills out multiple applications it throws up a red flag. Each insurance company runs an MIB (medical information bureau) report. This report protects the insurance companies from individuals that may have been previously declined for coverage elsewhere or has applied to a half a dozen other carriers. When an insurance company sees the MIB report and it shows multiple submissions thru multiple carriers this may keep a company from making a viable offer. The company will feel like they are just another application in the pot of many. They may not want to waste their time and money underwriting an application that may simply not result in a policy getting placed. So, they could simply withdraw from the process. This hurt’s the insured because perhaps this particular company was the one company that would have been willing to make the best offer. Again, it’s important to repeat. DON’T USE AN INEXPERIENCED AGENT WHEN DEALING WITH PRE-EXISITING MEDICAL CONDITIONS. Okay, the correct way to get the lowest rates is to let your agent do all the legwork before formally applying for coverage. This is done by answering the questions above and letting the agent shop your coverage among the best carriers. Your agent should discuss over the phone with the underwriters your situation without submitting any application beforehand. This keeps your information confidential and keeps your information out of the MIB file. Once the agent has negotiated the best offer you will then be presented with that offer. If the offer is something you feel you can afford and are comfortable with then and only then should you complete a formal application. Once the application an exam is completed, the chosen company will formally underwrite your policy and give you the final offer. This not only saves you time but will save you money. If you have a history of Marfan syndrome and are in the market for the lowest cost life insurance we can help. We are experts in the special risk underwriting arena. You can speak directly to the owner. We will discuss your situation and describe the best plan of action to get the lowest rate in the life insurance world.